How Long Does It Take to Become a Firefighter in Michigan? How Much Do Firefighters Earn In Michigan? According to the U.S. Fire Administration, out of the 1,000 fire incidents in Michigan in 2016, 4 deaths and approximately 13 injuries were reported. These numbers may not look staggering but if you compare them with the national statistics, they are alarming. The same source quotes that of 1,000 incidents of fire in the US in 2016; there were approximately 2 deaths and 9 injuries. If you live in Michigan and want to pursue a career that is both rewarding and fulfilling, then consider becoming a firefighter. As a firefighter, you will not only be putting out and preventing fires but also saving lives. If you are interested in knowing about how to become a firefighter in Michigan, then continue reading. However, be mindful of the fact that the following only serves as a general guideline, as specific requirements may differ from city to city and county to county. Once you meet these minimum requirements, you are good for applying. It is typical of your future employer to ask you to take a series of examinations once your application is processed and approved. This exam is timed and will test your reading comprehension skills, including maps, tables, charts, street guides, gauges and graphics. It will also test your mathematical and vocabulary skills. Since passing this test is mandatory to become a firefighter, therefore it is strongly advised that you prepare before taking this test. Either obtain civil service exams from your local library or enroll in a remedial class at your local community college or adult education center. Once you pass the written exam, you will need to pass the physical exam. Since this too is mandatory, therefore be prepared in advance. Consider doing pushups, swimming or bicycle riding, running and hand grip exercises for 20-30 minutes a day for 4 to 6 weeks before taking the test. Overweight candidates should consider losing weight. Becoming a firefighter is not like getting a job; instead it is like starting a lifelong career. Therefore, it takes quite a while to get your application processed, passing the exams and tests and completing the firefighter’s training. On the whole, it may take you as little as a few months to up to a few years to become a firefighter in Michigan. According to the BLS, as of May 2017, there were 6,980 firefighters in the state of Michigan. Firefighters’ jobs are increasing at a steady rate of 3 percent all over the US, which means that while there may not be an abundance of such jobs, there would always be new vacancies for those who qualify. 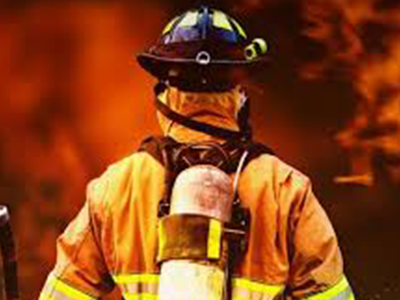 You should therefore focus on getting your application approved and getting into the training program to live your lifelong dream of becoming a firefighter.